The first point of contact regarding safety hazards in the kitchen should be handled during Orientation between the supervisor and the new employee. Most orientations only cover food safety and give little regard to the other issues that can cause problems in the kitchen. Orientation is the chance to communicate the company philosophy regarding kitchen safety. While food safety is paramount, remember to review good standard employee safety as well. Slip and fall prevention - keep floors dry and obstacle free, employees should wear slip resistant shoes (follow warranty) and utilize safety mats. Keep tiles and grouting in good condition. When passing other employees in the kitchen, give verbal alerts to avoid collisions. Use safety cones to designate wet floor warnings. Sharp object accidents - when using knives make sure the knife is sharp, wear safety gloves and utilize proper handling techniques. Never put knives or any other sharp objects into standing sudsy dish water. When utilizing mandolins and slicers use safety guards not your hands. Be careful when disassembling (unplug first) and reassembling the devices when cleaning them. Chemical accidents - NEVER USE A CHEMICAL THAT YOU HAVEN'T RECEIVED TRAINING FOR. Ensure that all employees are familiar with the SDS chemical manual that includes first aid info and safety equipment to be used while utilizing the chemicals. Never mix chemicals as they can turn into a dangerous substance. LABEL, LABEL, LABEL! Labeling is your first line of defense against chemical accidents. Some chemicals and food substances can resemble one another, such as sugar and lye. Hot beverage accidents - for the back of the house, make sure that all equipment for hot beverages and soups are functioning properly and that staff has been trained on usage. Check thermostats daily. Use a calibrated thermometer to check temperatures. In addition, have periodic maintenance performed to calibrate them correctly. When filling beverage or soup containers do not fill them to the rim but an inch below the top. Remember to place items on the table in a secure fashion (away from children) and to warn the patrons that the items are very hot. In addition, use the proper safety lids for to go orders and warn the patrons regarding the intense heat of the items. Properly wrap (secure hot items in an extra bag) hot to go orders. Use disposable matching cups and lids that have a clear warning advisory that states "CAUTION: CONTENTS HOT". It only takes seconds for liquid at 180F to cause a 2nd or 3rd degree burns. Lifting, bending and carrying - train employees on the proper ergonomic techniques when lifting objects or bending with objects. Store heavier objects at waist level or below. Limit the weight that is carried by the servers to minimize muscle strain. Utilize carts whenever possible especially with particularly heavy loads. Equipment hazards - ensure that all small equipment such as fryer baskets, strainers and plastic containers are unbroken and in good condition. Otherwise, employees can cut themselves or the broken pieces may end up as a foreign object in the food which can be accidentally swallowed. Reporting accidents or near accidents - it is imperative that all employees understand that they MUST report all accidents or near accidents to their direct supervisor before leaving their shift. Even if it appears as if the problem has been resolved it still needs to be officially reported. For example if a patron complains that a foreign object was in their food and the staff replaces the order, a report still needs to be made. Ignoring safety protocols can have a serious effect on your restaurant's bottom line. For instance, I have a case where a chef received a serious burn when she reached for an item with a wet towel. Unfortunately she wasn't wearing the proper safety gear and received 2nd and 3rd degree burns. A little while later, the insurance company sent a letter expressing sympathy but also informed the restaurant that their rates were going to increase by $14,000 per year. You need to foster a culture of safety by training all kitchen staff. Training must be documented. It is suggested that managers and supervisors provide monthly training to refresh employees on safety issues and measure their performance. Cover the good, the bad and the ugly of what happened during the prior month. Reviewing the written policies and procedures will keep safety at the forefront of your employees' minds. Have a robust accident and incident investigation procedure in place. By following the safety recommendations outlined above, you will prevent future accidents, keep your kitchen safe and your catering bottom line intact. 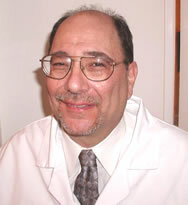 Jeff Nelken, MA, retired RD is a Food Safety / HACCP Expert with 35 years experience in the hospitality industry. He specializes in Food Safety, Accident Prevention, Inspections, Audits and Training. Mr. Nelken is a certified trainer and provider with the Los Angeles Health Department who has worked with CNN, FOX, CBS, NBC, INSIDE EDITION, and Dateline MSNBC's investigation team, as well as Restaurants, Casinos, Schools, Supermarkets, and Food Manufacturers to provide food safety.